If you like volatility, you had to love this past week. After sliding 22 points on Tuesday, the market rebounded sharply on Wednesday, gave up those plus more on Thursday, and as of Friday is struggling to stay positive. “Caution is needed because of our limited ability to reduce the policy rate to respond to adverse developments, recognizing that we could also use forward guidance and balance sheet policies to provide additional accommodation if that proved warranted. And with those “silky smooth” words, traders rushed to buy stocks as the risk of tighter monetary policy continues to pushed further out into the future. Like the cartoon shows, courtesy of Hedgeye, the only thing that matters to the markets right now is the Fed. Of course, while the Fed continues to talk about the need to hike rates in the future as inflationary pressures rise due to strong economic growth. A quick look at the Atlanta Fed’s GDPNow shows a bit of different story. Of course, with consumer spending slowing sharply it is no wonder corporate profits, a direct reflection of real consumption, are getting weaker. The chart below, from BankAmerica, shows the seasonally adjusted retail sales ex-autos measure from the BAC aggregate card data was unchanged SA in March, leaving the 3-month moving average to decline 0.2%. While a part of this weakness owes to a continued decline in gasoline prices. We find that retail sales ex-autos and gasoline was up 0.3% mom SA, which continues to be in a downward trend. In other words, Q1 GDP is weak for a very specific reason: consumer spending remains anemic. But wait, low oil and gasoline prices were supposed to provide a boost to consumers wallets? As we head into earnings season, estimates have been lowered, beaten down, crushed and lowered some more. So, when you lower the bar far enough, you shouldn’t be surprised to see a large number of companies, after share buybacks, accounting gimmicks, and cost cutting winning the “beat the estimate” game. You can see the negative revisions in Dr. Ed Yardeni’s chart below. The chart below from Goldman Sachs, from November of 2014, expected corporate profits to surge in the coming years with 2015 ending at $122/share. As long as earnings keep accelerating higher, a P/E multiple of 17x earnings can be maintained indefinitely into the future. Clearly, one should buy stocks today and hold them long-term given such an incredible undervaluation, right? The problem is the is the huge disparity between expectations and reality as shown in the chart below which compares economic growth to earnings growth. Wall Street has always extrapolated earnings growth indefinitely into the future without taking into account the effects of the normal economic and business cycles. This was the same in 2000 and 2007. Unfortunately, the economy neither forgets nor forgives. The problem with forward earnings estimates is that they consistently overestimate reality by roughly 33% historically. The chart below shows the consistently sliding revisions of analyst expectations versus the reality of corporate profitability. At the end of 2014, it was estimated that by Q4 of 2015 reported earnings would reach in excess of $131.00. However, Standard & Poors then revised down their estimates to just $104.03 at the end of Q1 in 2015. We are now looking at just $86.53 a share for 2015. What a miss. The illusion of“permanent liquidity,” and the belief of sustained economic growth, despite slowing in China, Japan, and the Eurozone, has emboldened analysts to continue push estimates of corporate profit growth higher. Even now, as the earnings recession deepens, hopes of a sharp rebound in profitability remains ebullient despite the lack of any signs of economic re-acceleration. “A broad-based EPS contraction has already caused havoc in the overall market in recent months, but a more painful downturn has been averted because nominal GDP growth has managed to stay above long-term Treasury yields. However, leading economic indicators remain bearish, and the slide in the monetary base warns that the path of least resistance for GDP growth is lower. History shows that once GDP growth dips below the level of 10-year Treasury yields, a prolonged slump in stocks typically ensues. To be sure, U.S. profits key off the state of the global economy, not just domestic trends. According to our Global Leading Economic Indicator (GLEI), growth is also too weak outside the U.S. to expect a profit turnaround. The GLEI is correlated with U.S. net earnings revisions, which are currently deeply negative following several consecutive quarters of poor operating profits across the corporate sector. “Importantly, these expectations are not simply a reflection of hopes for a recovery in resource prices, but are broad-based across sectors. That is wildly optimistic, underscoring that disappointment will remain a key risk. I could not agree more with BCA’s comments. Economic growth is a function of consumption. If economic growth is weak, then consumption must therefore also be weak. If consumption is weak, then corporate revenues will also be weak. As shown below, declines in revenue have been a strong precursor to economic recessions. Of course, while accounting gimmicks and share buybacks can buoy profits temporarily, it is not sustainable and the eventual downturn is inevitable. The point here is that while prices have improved short-term, which have been a function of the “verbal easing” issued by the Fed, the underlying realities of the market are far different. As is always the case, estimates are likely to fall sharply as economic reality continues to take hold. Could prices maintain their current levels long enough for the economic cycle to turn and catch up? Possibly. It has just never occurred before in history….ever. While allocations have been very conservative since last May, avoiding the ensuing volatile declines last summer and the start of this year, I noted last week the markets had improved technically in the VERY SHORT-TERM which could allow for an increase in equity exposure. I have updated the analysis from last week through Friday’s close. 1. The shaded areas represent 2 and 3-standard deviations of price movement from the 125-day moving average. I am using a longer-term moving average here to represent more extreme price extensions of the index. The last 4-times prices were 3-standard deviations below the moving average, the subsequent rallies were very sharp as short positions were forced to cover. Not surprisingly, the recent rally was just as sharp as the last two. 4. The market is testing very important support at 2040. In order for the “bull market” to reassert itself, the current consolidation must continue until the current overbought condition is resolved. As I stated last week the markets have currently registered a very short-term buy signal. It is not uncommon that such a signal would be triggered given the recent advance. However, notice in the chart below, that following the August slide, the 50-dma crossed below the 200-dma. The ensuing rally, and subsequent choppy topping action allowed the 50-dma to cross back above the 200-dma giving an “all clear” signal to the “bulls.” That “false flag” was quickly reversed by the subsequent plunge back previous lows. The current peak in the market is extremely similar to that of last November with the 50-dma turning up and once again approaching the 200-dma. Will this be another “head fake” in the ongoing topping process? Possibly. We will have to wait and see. The chart above also shows more clearly the current negative trend in the market. Importantly, note the two green circles at the top and bottom of the chart. Both of these indicators are similarly positioned to the last sharp rally and market peak at the end of 2014. With volume on rallies declining, the risk of a continued correction into next week is likely. It is critically important the market clings to support at 2020, where the 200-dma currently resides, or a deeper slide will ensue as we head into the seasonal summer weakness. While I am on the lookout for an opportunity to modestly increase equity exposure in portfolios given better conditions, I will do so with extreme caution and very close “stop loss” levels. Given the extremely weak underlying fundamentals and NO improvement in the intermediate-term technicals of the market, I do fully expect to be “stopped out” of any additional equity exposure I may add. This past week, the “backing and filling” market action began that necessary consolidation process has stayed above important support levels at the 200-dma. That process is likely not complete as of yet as shown below. All of the very short-term signals are currently suggesting more corrective action is likely. However, as stated above, that corrective action must not violate important longer term support. If such a violation occurs over the next week or so, the opportunity to add “trading positions” to portfolios will be negated. Furthermore, the short-term market breadth indicator is also rolling over confirming a short-term corrective process is likely in the works. My friends over at iViewMarkets track the number of stocks on strong buys vs sells. That ratio is now approaching rather extreme levels which also confirms the current short-term overbought market condition. Energy, Mid-Cap, and Small-Cap stocks have improved but are still lagging the S&P 500 index as a whole. Mid and Small-Cap sectors are also still well within a major downtrend. Furthermore, the companies that comprise the indices are most susceptible to economic weakness so caution remains advised. Not surprisingly, the SAFETY sectors have begun to lag the broader market with Bonds, Staples, REIT’s slowing their advance. I suggested adding bonds to portfolios several weeks ago when yields approached 2%. While that was a good call at that time, the decline in yields has come more quickly than expected as economic weakness gains traction. While it is not time to sell bonds just yet, it is also not an ideal entry point to add bonds either. Hold positions for now as I still suspect we will retest yield lows, or set new lows, by fall of this year. I am updating the S.A.R.M. 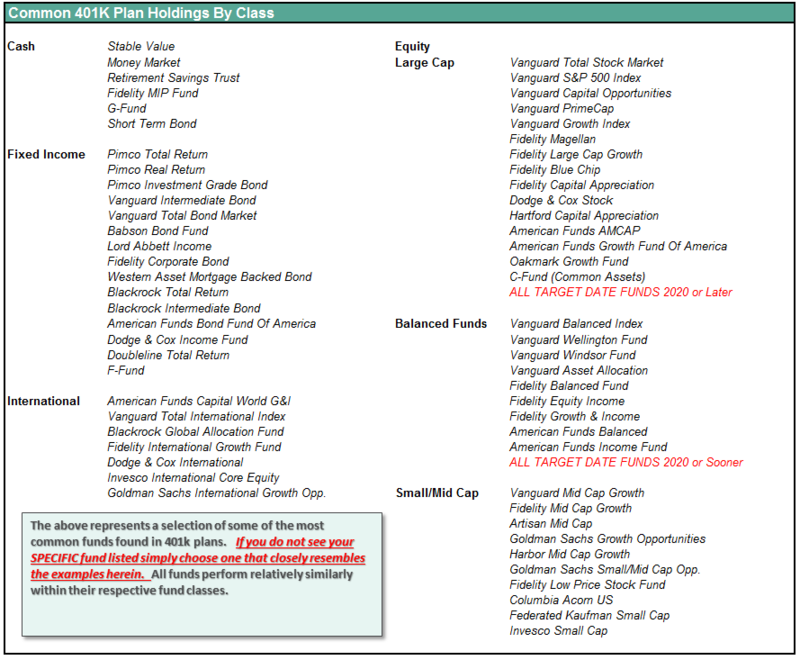 model to reflect potential portfolio allocation changes provided an entry point is obtained. Such an increase would move the current model allocation exposure back to 50% of Target Weightings in an equally weighted portfolio. What we are looking for is an improvement in the relative performance of each sector of the model as compared to the S&P 500. The next table compares each position in the model relative to the benchmark over a 1, 4, 12, 24 and 52-week basis. What we are looking for is relative improvement or weakness relative to index over time. For example, notice that sectors like Materials, Financial, Technology and Industrials were outperforming the S&P 500 12-weeks ago, but are now once again showing relative weakness. The last column is a sector specific “buy/sell” signal which is simply when the short-term weekly moving average has crossed above or below the long-term weekly average. There has been little change from last week’s analysis. Starting next week we move into Q1 earnings reports. Most likely many companies will be estimates as they have been lowered to extremely low levels. However, we will want to focus on top-line revenue. The weakness in economic reports continues to suggest the overall environment is materially weaker than “operating and pro-forma” profits suggest.